Haliburton County, also known as the Haliburton Highlands, covers over 4,000 square kilometres of natural landscapes and over 600 lakes. The County is to the northeast of the City of Kawartha Lakes and shares boundaries with the District of Muskoka, Hastings County, the District of Nipissing, and the County of Peterborough. The permanent population is 17,026 with an estimated seasonal population of more than 48,000. The county is serviced by hospitals in Haliburton and Minden, both administered by Haliburton Highlands Health Services. 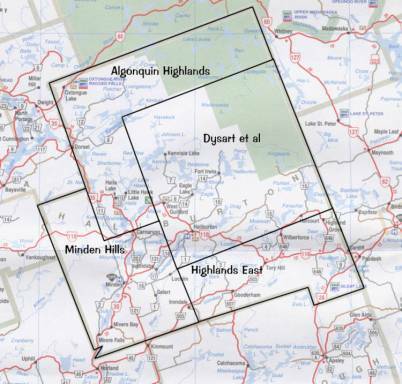 Haliburton County is part of the Trillium Lakelands District School Board. The economy is largely comprised of tourism, retail, trade, and construction; however, the arts, entertainment and recreation sectors also employ a large proportion of the labour force. The County’s economic activity is made up of a large proportion of part-time and seasonal work. Haliburton County is comprised of four separate municipalities.